Hello everyone, hoop you are all good. Today I show you two tags I have made. 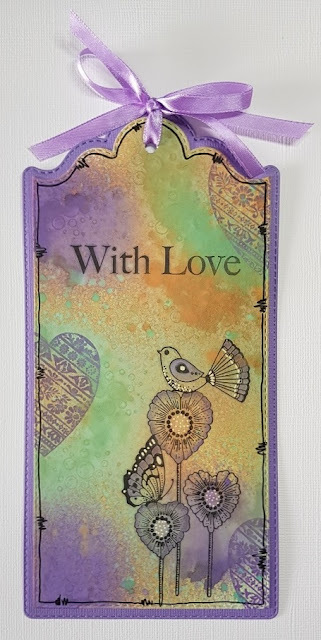 The first tag I have made with Distress Oxide and I used the stampset Floral Heart. 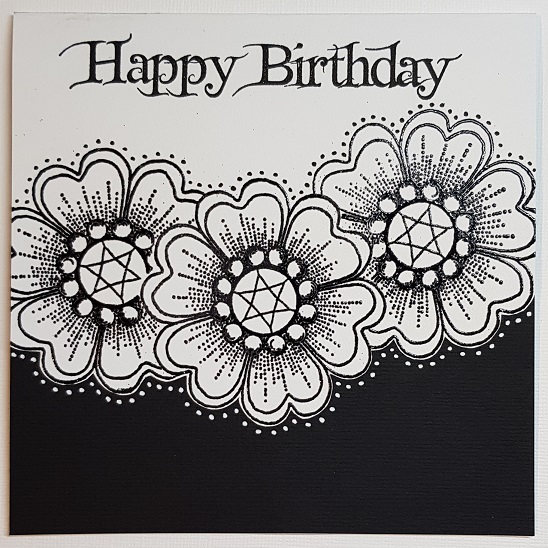 I stamped the images with Versafine onyx black and I used a white gel pen for the edges and the accents. The second tag I made also with Distress Oxide and I used the stampset Fluttering Hearts. 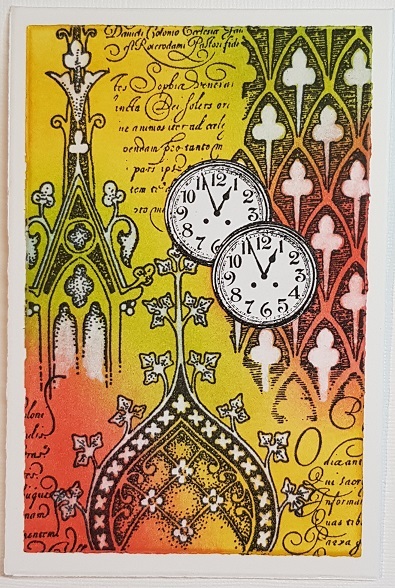 I stamped the image with Versafine Onyx Black and the background images with Distress Oxide and I used a white and black gelpen for the edges and the accents. This card I made with a scrappaper and the stamps I embossed with silver embossing powder, and than cut them out and put them on the card. 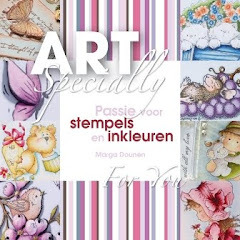 The background I made to firts stamp the edges with versamark and than embossed it with white embossingpowder. Than I made the background with distress ink in different colours. 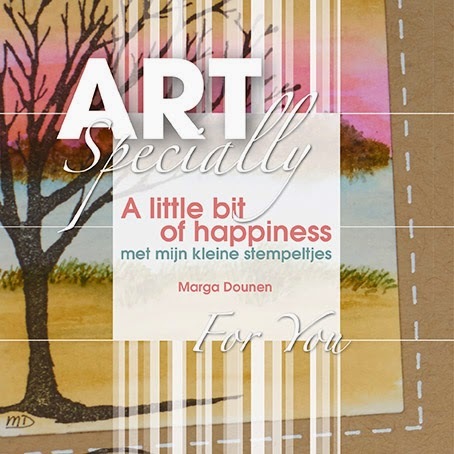 I stamped the images with red ink and some parts I cut out and than put it on the card. 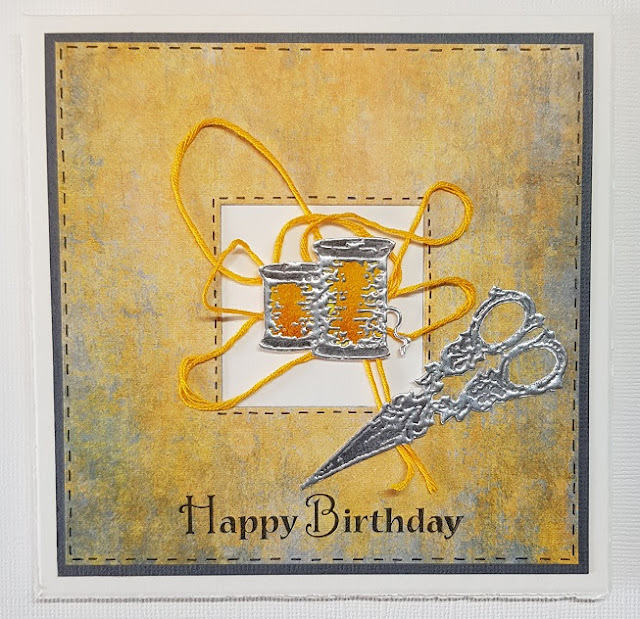 I also put some lace and buttons on the card. 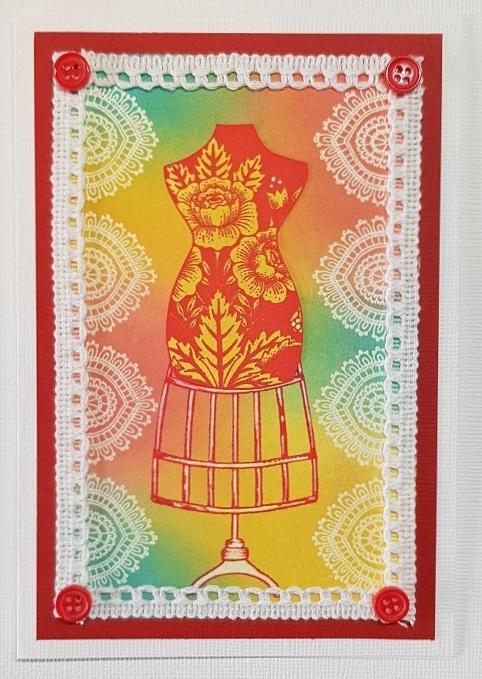 Stamps I used are: Floral Mannequins, Haberdashery, The sewing room. Hello Everyone, here is Marga again with some new cards. 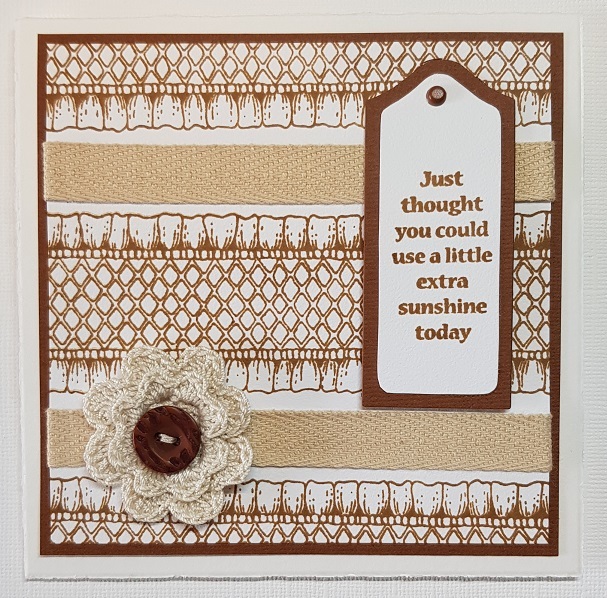 The first card is a very simple card with only one colour ink stamped and put some lace in the middle of it. My mother made the flower and I put a button on it. 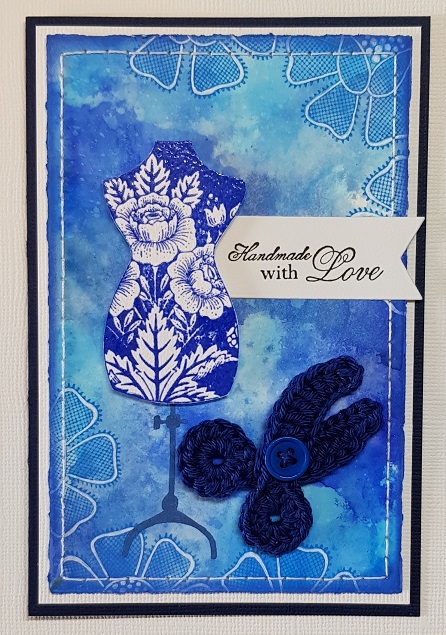 The second card I made the background with Distress ink in blue tones and I stamped the image also with blue and than embossed it with clear embossing powder. 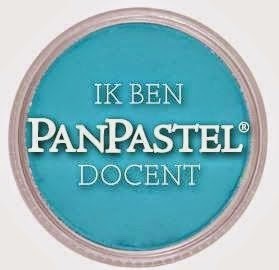 The siccor is made by my daughter. The stiches on the card I done with my hand and noth with the machine. Hello everyone, hope you have a nice day today. 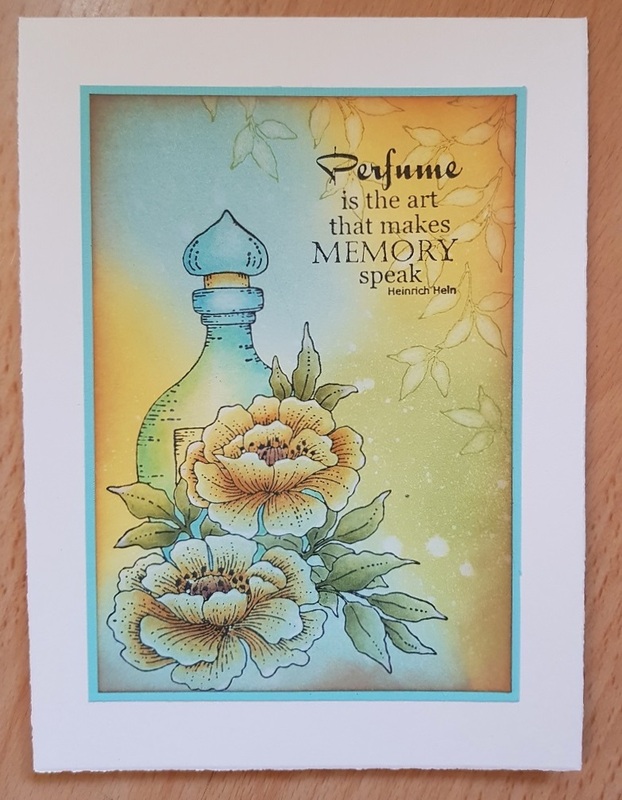 My time to show you a card today with the lovely new stamps. On this card I used only brown colours to colour. The colours I used are distress ink colours and I coloured it with a waterbrush. Hello hope you have a great day today, it's my birthday today so Familly time and a new card from me for you to show. What are the new stamps great. I made the background with Distress ink and I used the same colours to colour the image. 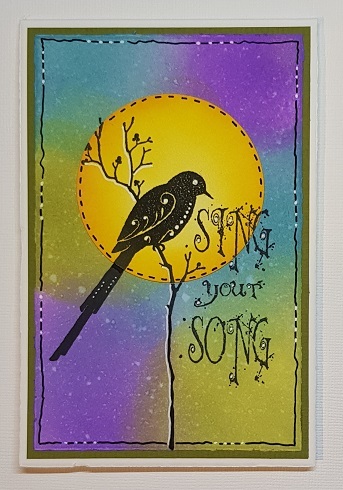 I stamped the image after I made the background with Versafine onyx black. By the leaves I used a waterbrush with water to pick up the colour . 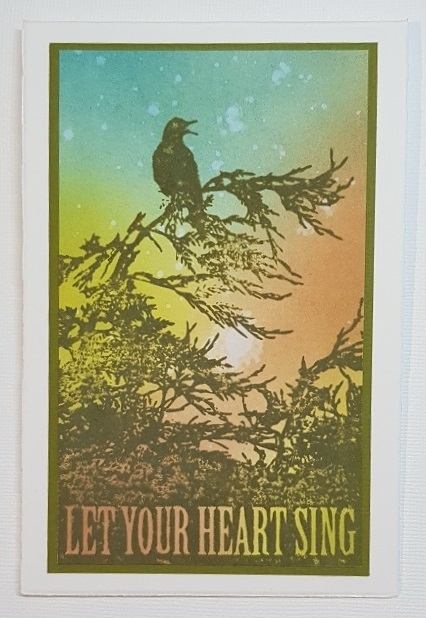 This time I used Distress Oxide ink and Green Archival ink to make this card. The image is so lovely that you dont need anything more. 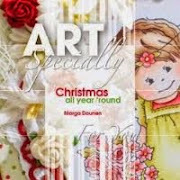 Hello everyone, first of all I want you to wish you all a Happy New Year with losts of creative fun. 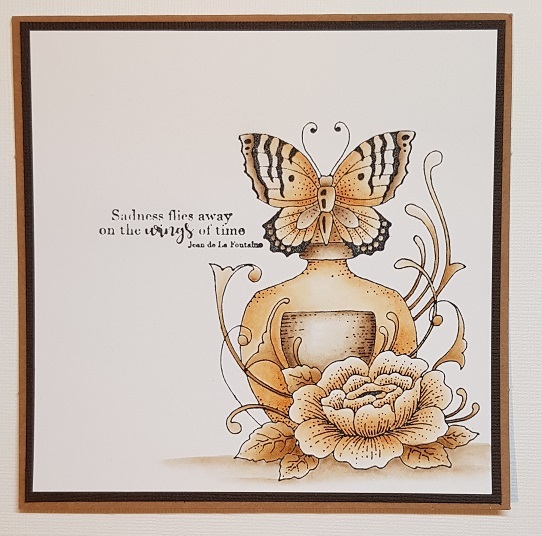 This time I show you a card that I have made with glossy paper, Distress ink and Archival ink. 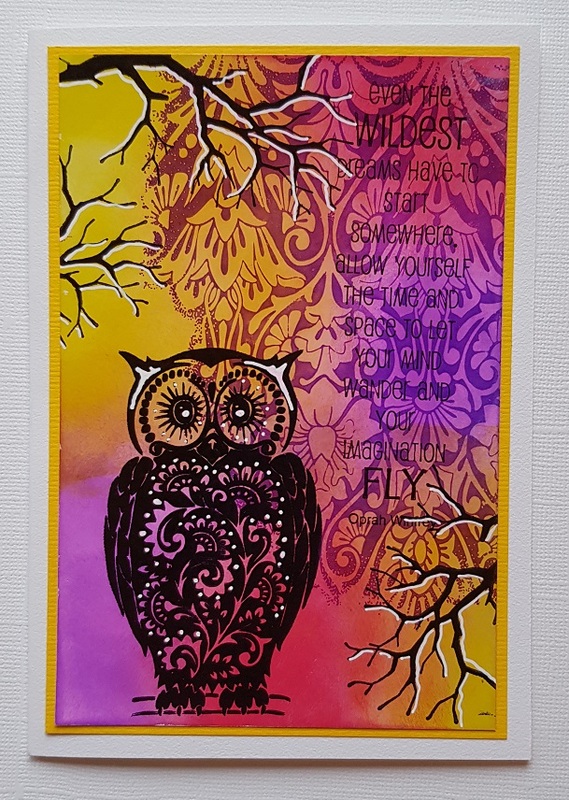 Stamps I used are: Wise Owl, Fly Away With me, Sing You Song, Dusky Damask.